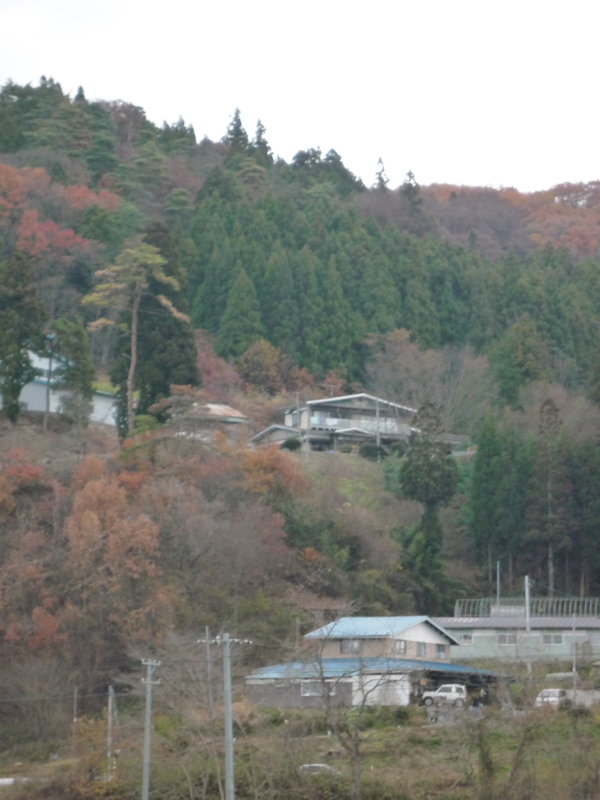 If you go to the peripheral parts of Shiwa, you will stumble into scenes of houses snuggling against the forest. 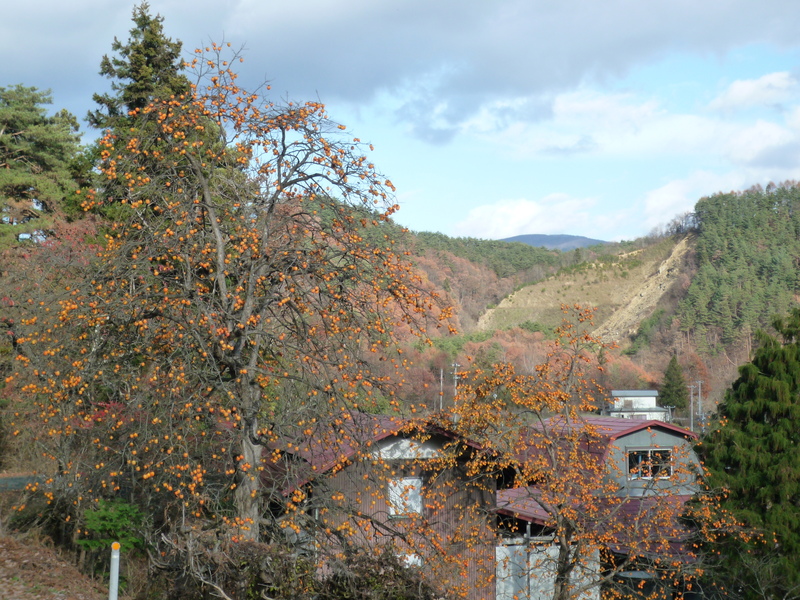 Sahinai, for example, is a district cut out of the mountains. The houses are more often than not farm compounds next to fields next to forests, which blanket the rest of the mountains.At the end of autumn, the fluff of the forests is reduced because many trees lose leaves, and their bareness makes the scene appear colder while simultaneously making the forest seem like a different sort of blanket, a comforter pulled over the shoulders of the household. Add to that woodsmoke from chimneys–not the rooftop-brick-stack variety but the steel-coming-out-sideways-from-the-house-like-a-tobacco-pipe variety. The smoke gives the chill air a smell that adds to the contradicting sensations of coldness and warmth. You can picture the buildings bundling up for winter. This entry was posted in Autumn, Forest, House. Bookmark the permalink.